Happy Monday! How was everyone's weekend? Mine was busy and that's why I love a little self-care Sunday. One of my favorite ways to spend it is enjoying a little pampering and that almost always involves a mask of some kind. Sheet masks are all the rage and for a million reasons. 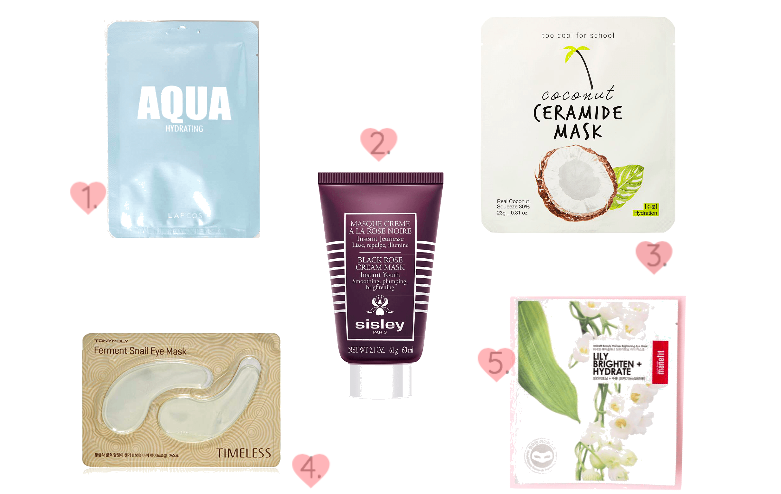 From the surge of hydration, calming, and soothing sensation they give to the skin-benefiting properties these little gems are the not so secret key to Korean-inspired beauty. Needless to say, I love them. 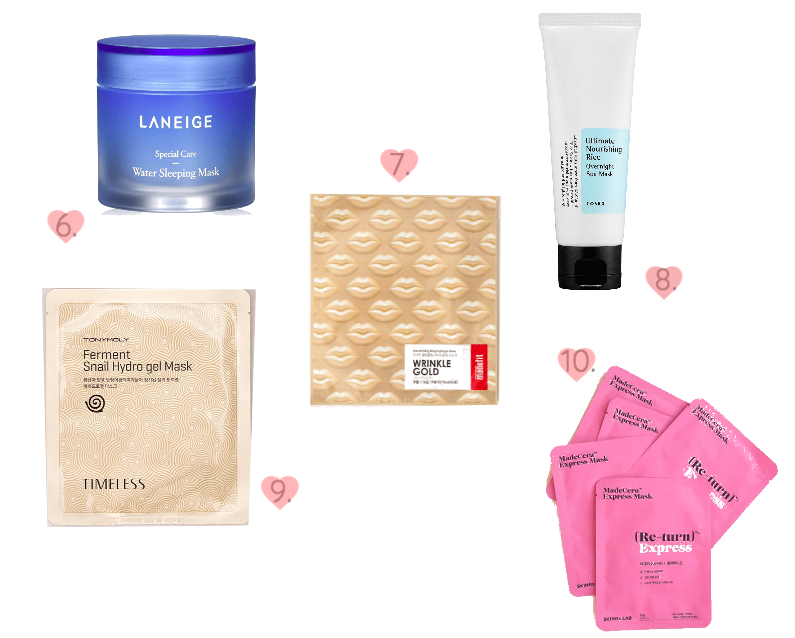 Today I've put together a list of my top 10 favorite masks to reach for whenever you and your skin need a little TLC. I also included a pack made specifically for the delicate and often undernourished eye area. These comfy patches will have you wondering where they've been all your life, haha. From sleeping masks to high end luxury indulgences there's something here you're sure to fall in love with. Shop them all down below and let me know which one is your skin's favorite. Happy pampering!